The Total Lunar Eclipse is exact on January 20th at 6:36 pm PST | 9:36 pm EST followed by the Leo Full Moon on January 20th at 9:16pm PST / January 21st at 12:16 am EST. With all planets moving forward at this time of our upcoming lunar eclipse, we are in a powerful transitional gateway to release that which no longer uplifts or support you to live as your sovereign Queen self and embody Heaven on Earth. This is one of the most powerful astrological events of 2019! The full moon and total lunar eclipse in Leo empowers you to illuminate your heartfelt and passionate self, ROAR that which has been holding you back, and Rise as the Queen of your own life (Leo) to serve in this great time of birthing a Golden Age on Earth. This celestial transition ignites your heart's desires to offer your gifts in serving in the world with a sense of devotion, inspiration, and responsibility. These are some potent incoming Queen Codes for this year! This is a pivotal window for us as a collective where our feelings, emotions, and intuition come to light to catalyze renewal and regeneration at the level of the heart and soul for leading with your Lion Heart in 2019. It is a time of purification to breakthrough and resurrect your self-love, truth and power. This first full moon is also known as the Wolf Moon!! We have a LOT of primal power present at this time. This potent ritual is offered in love to your Bright Soul! The intention of this ritual is to empower you in releasing anything that may be preventing you from living in the fullest expression of your Wild Sacred Feminine Essence and rise in the wisdom, beauty, and truth that you are. Blessings to you! Build a fire and bask in the radiant flames. Let the heat penetrate your body. Let the colours into your eyes, empty yourself of thoughts and allow for the flames to guide you deep within. If you can't build a fire, then light some candles and bask in the full moon's light if possible. Then Reflect on how this makes you feel, speak your feelings, write them down and allow your body to express these feelings. Now investigate how this has affected your life and may still be affecting you. Again, take your time. Then offer to the fire all the parts the beliefs that are not true, that you may have been living with. Honour them for their time with you and now they are no longer needed. Sacred. Deep. Release. Dance Dance Dance! If with a fire, let the heat of the fire soften your body and move in ways that make you feel free and empowered. Dance your truth. Dance your heart and soul. Speak aloud what you are capable of, and the truth of who you are! Speak your wisdom and what your passions are. You can start each sentence with I Am.... and claim your truth. Run wild with this! When you feel complete (and maybe after many tears...) Repeat, "And so it is!" as many times as you like. This will anchor in and affirm your sacred truths. Finally, write down these truths, so that you can refer back to it when you need reminded of your power. Close with gratitude and long deep breathing. Or, continue in what ever way feels most resonant for you. Remember: Put out your gem stones and jewels in a window or in water for cleansing, renewal and activation. Preferable in salted water (sensitive stones and jewels leave out the salt part). Commune: Gather is an intentional way with loved ones and do the above ritual together if possible for extra potency and support. Now is a such a powerful time to be with the energy of the collective. Full Moon rituals can be done the day before, of and after the actual full moon. This is the 3 day potency period. Blessings to you in this powerful and wild and powerful time. 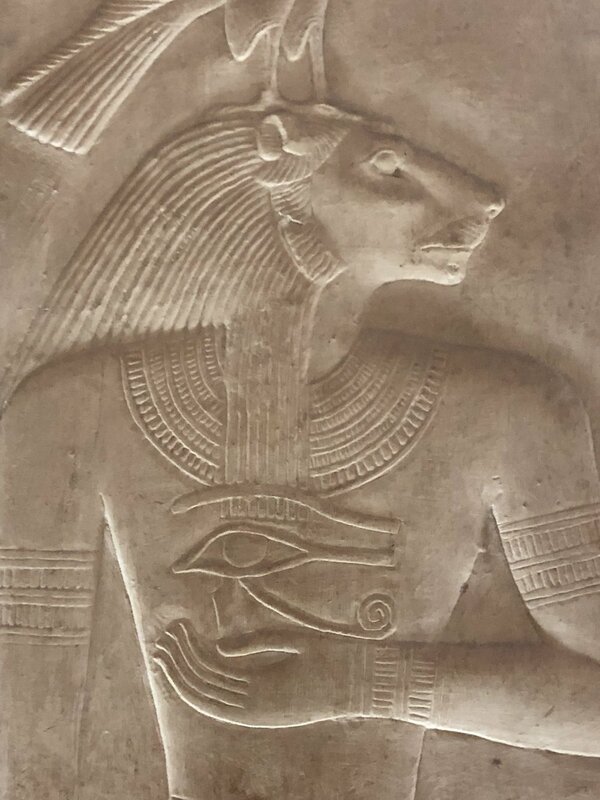 In exchange for your time and honest feedback (5 - 10 minutes), those who fill out the survey by January 19th will receive access to a special LIVE Sekhmet Blood Moon Eclipse Ritual on January 20th! Full Moon Rituals Right to Your Inbox! Enter Your Info Below to be Sent Moon Rituals Each Month. Thank you! Please make sure to check your Promotions or Spam folder. The details may be hiding there. Posted on January 18, 2019 by Goddess Rising.